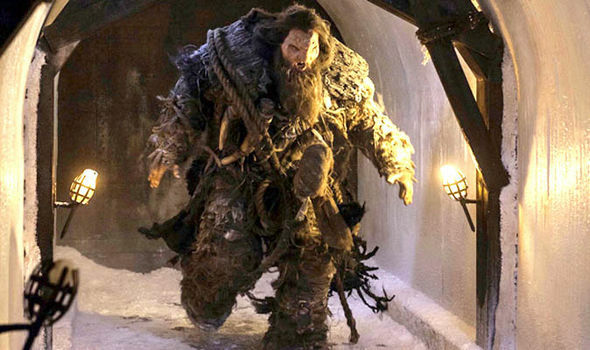 Neil Fingleton, the 7 ft 7 in actor, perhaps best known as Mag the Mighty in Game of Thrones, has passed away from heart failure. Fingleton was born in England, but moved to the US to play basketball in high school. After college in North Carolina and Massachusetts he played professionally in several countries. He took to acting after an injury in 2007. Besides Game of Thrones, Fingleton appeared in the films 47 Ronin and Jupiter Ascending. He was involved with X:Men: First Class and Age of Ultron. On a two-part episode of Doctor Who he portrayed The Fisher King. He also appeared in the programs Britain’s Tallest Men and Superhumans: Giants. Fingleton told the Guinness Book of World Records, “I have always been taller then everyone since I can remember. My height really took off when I reached 11 and was touching 7 foot. By the time I was 16 I was 7’5 and stopping growing at 18 when I was 7’7.56.” He became Britain’s tallest man in 2007. His family, those that worked with him and the fans will miss Neil Fingleton. I'm a lover of all things fantastical, living in Texas. At least there's NASA. I love to write, get a little bit too enthusiastic about Doctor Who and attend the occasional con. I also love film and media so much I got my degree in it!